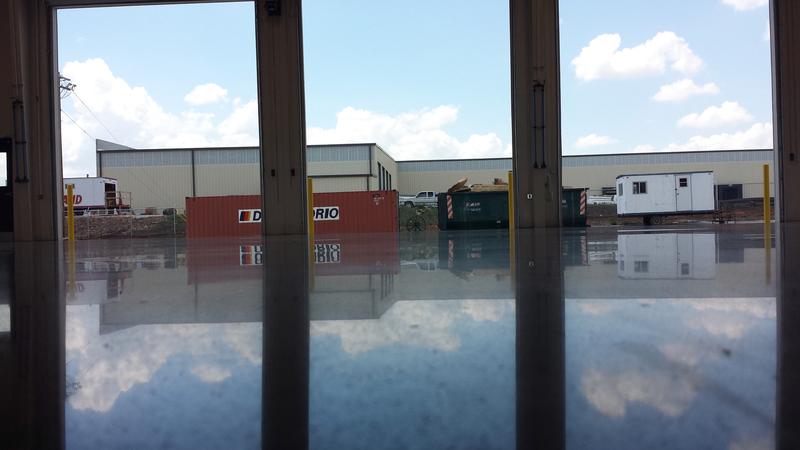 Cost Savings: Polished concrete is extremely inexpensive! 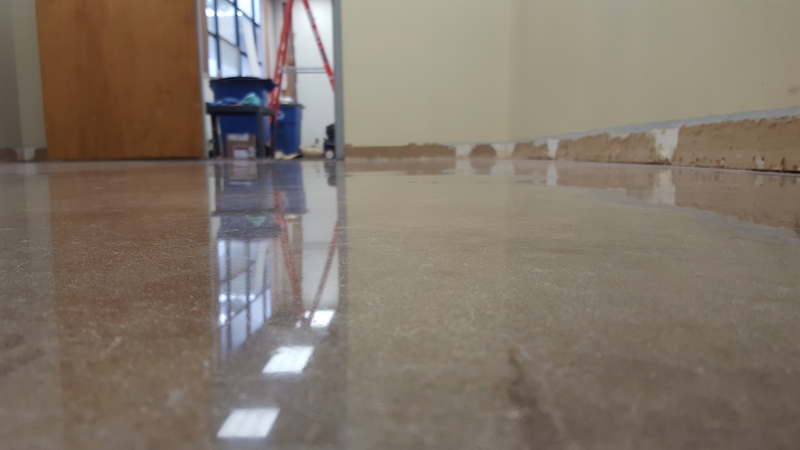 The high cost of traditional flooring materials such as carpet, tile, VCT and Laminate aren’t necessary when the original slab is going to be used as the finished floor surface. 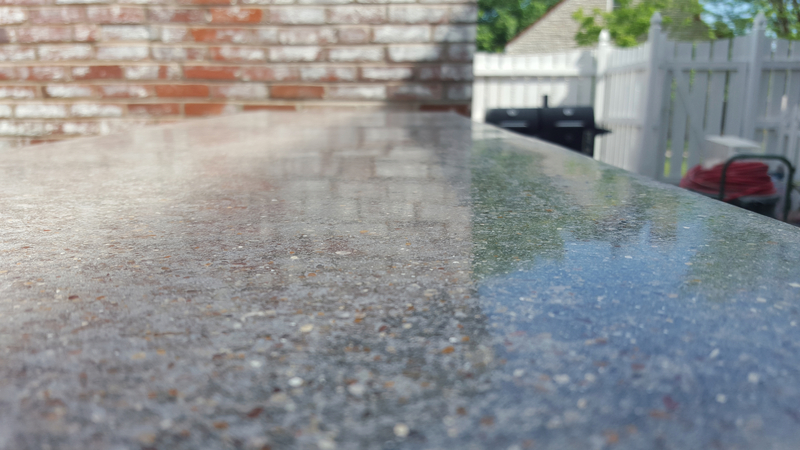 Polished concrete can be easily stained to match any existing decor and the design and color possibilities for your floors are endless. 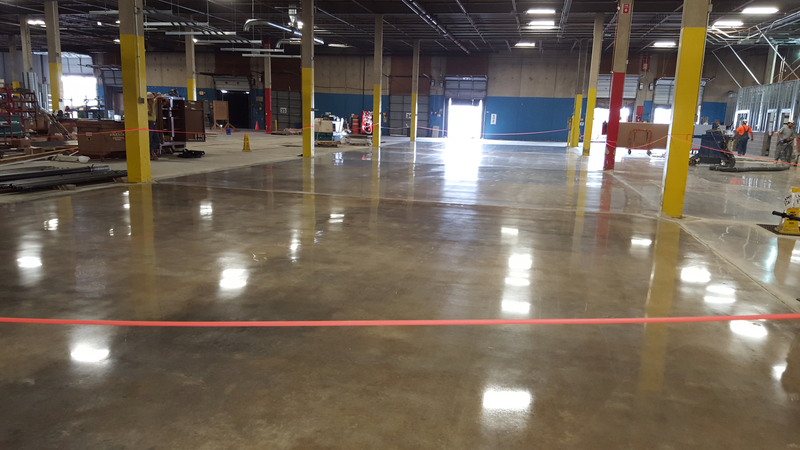 From simple colors to detailed borders, logos and designs, these particular concrete floors are only limited by imagination. 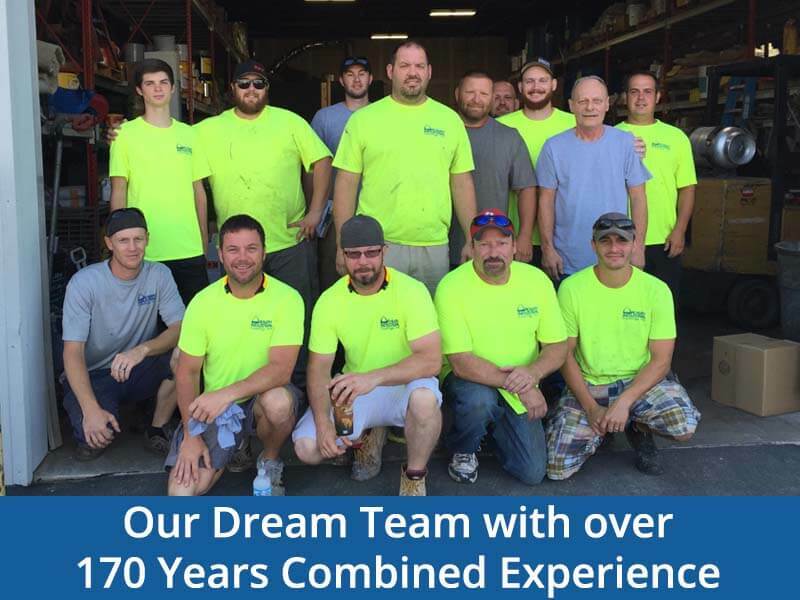 We can also help design your flooring project… Just give us an idea as to what you’re looking for and we can give you tons of ideas!. 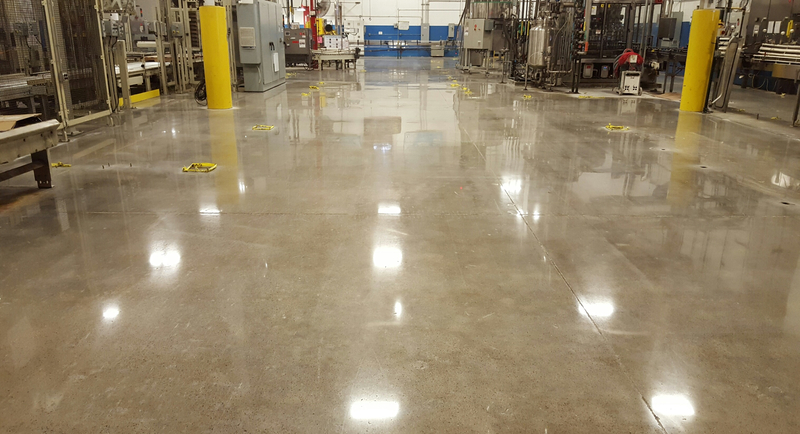 Less maintenance/Longer service life: Polished concrete floors are not only easy to clean, they usually requires only the occasional damp mopping. No wax is necessary in order to maintain the shine of your new floor! 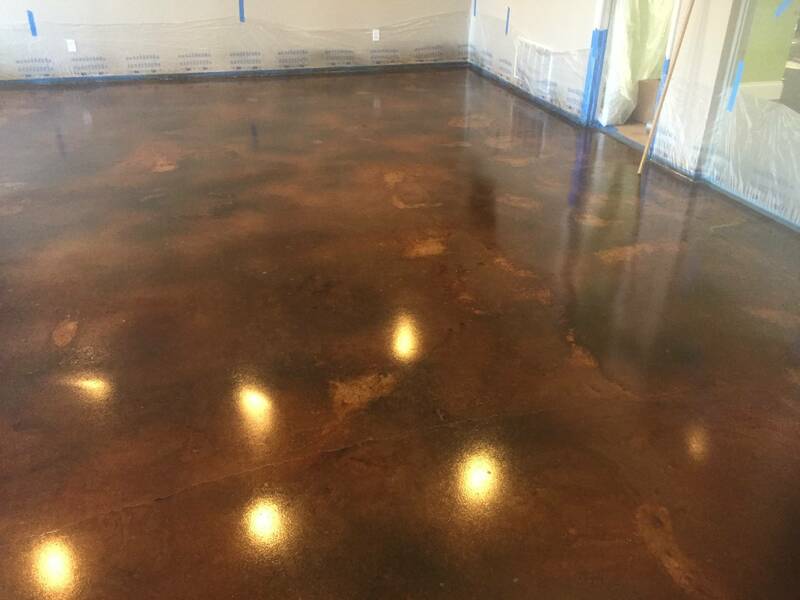 Polished concrete floors eliminate the need for waxes and coatings as well as the labor, time and expense to apply them. 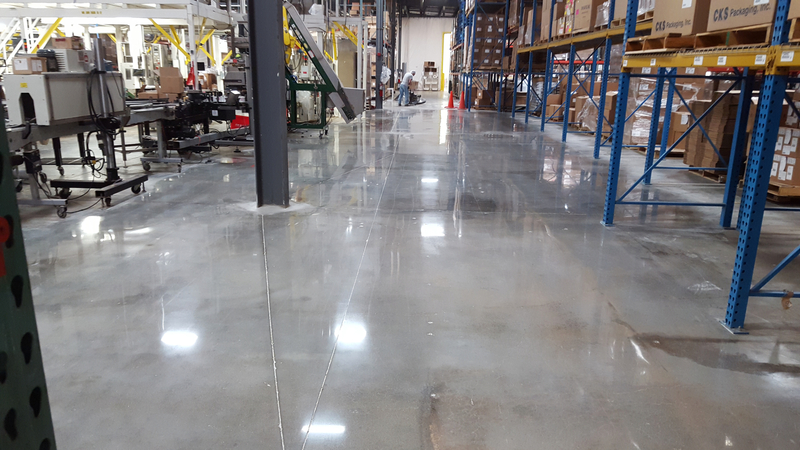 The glossy surface can also resist the usual marks left behind from forklift truck tires and the usual staining from oil and/or chemical spills. 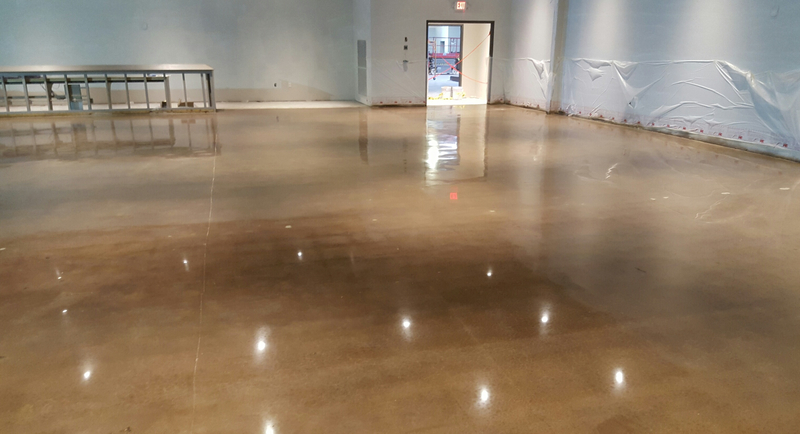 Resistant to moisture problems: Polished concrete floors, unlike epoxy, laminate and wood floors, allows the floor to appropriately breathe and eliminates all the issues that may arise with other flooring materials that completely seal the concrete.